Botanicals are essential dried parts of plants that are known for their properties of medical and therapeutics, scent, and flavor. Extracted in the form of ethanol, water, essential oils, or other organic solvents, botanicals have been used by the food industry for several decades and are frequently available at pharmacies and supermarkets. According to the findings of this business intelligence study, the food industry is on an upward curve and consequently, the market for food botanicals is flourishing too, with the demand projected to expand at a formidable CAGR during the forecast period of 2017 to 2025. The global market for food botanicals is gaining traction from the increased adoption of the ingredients in adding fragrance, flavor, or technical characteristics for the food products and cosmetics. As the percentage of vegetarians increases across the world, the plant-based proteins are growing in demand and thereby driving the food botanicals market. In addition to that, recent technological advancements have paved way to new botanical ingredients. Moreover, food botanicals are also available in the form of herbs and spices, which is opening a whole new segment in this market. On the other hand, the lack of dosage instructions, increasing adoption of modern medicines, and risk of poison are some of the factors obstructing this market from attaining higher profitability. 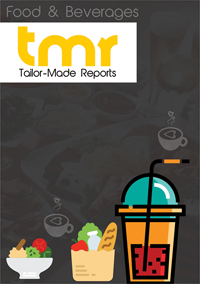 This report has analyzed all important drivers and restraints of the food botanical market, exploring latest trends and opportunities, segmented it into smaller aspects, gauged the potential of demand that will be coming from different regions and countries, and profiles several prominent players for their market shares. The report has been developed as a business intelligence report for targeted audiences such as raw material suppliers, association and industry bodies, botanical extract manufacturers, and traders, distributors, and suppliers. The global market for food botanicals is growing at a swift pace on account of the adoption of healthier products in the food industry. Botanicals are substances obtained from plants that serve great health benefits when administered with food. Food botanicals have become immensely popular in the medical industry and are used for the treatment of a number of diseases and disorders. A major part of the population has started changing their lifestyles and food habits in order to maintain their physical and mental health. Since food botanicals have been approved as healthy by medical practitioners and health experts, people willingly resort to their purchase and consumption. A number of food products processed from eatable plants have surfaced in the market and have enhanced the growth prospects of the global market for food botanicals. Furthermore, food botanicals are also available in the form of spices and herbs which has created a buzz around them amongst consumers. The global market for food botanicals can be segmented based on the form, application, end-users, source of product, and region. These segmentations need to be closely analyzed to get a holistic view of the global market. The report on the global market for food botanicals gives a purview of the factors that have aided the growth of the market. Furthermore, the report foretells the trends, restraints, and opportunities that would define the growth rate of the global market over the coming years. The health benefits served by botanicals are the prime reason behind the growth of the global market food botanicals. A large section of the population has started scanning for healthier food options which has shifted the focus towards food botanicals. Supplement feeds that are processed from natural sources have also attracted commendable demand from sportspersons and fitness enthusiasts. Since food botanicals are used for producing these natural supplements, the global market for the former has gained stupendous momentum in recent times. Other uses of food botanicals include coloring, flavoring, and adding fragrance to foods, which is also a propeller of market demand. The inclination of the masses towards herbal products along with the intense research in the field of food botanicals are expected to add to the fructuous growth of the global market. On the flip side, people who are allergic to certain types of food botanicals are unlikely to resort to their consumption. In Asia Pacific, there is a history of using plant products in foods, cosmetics, and other key areas. Hence, the market for food botanicals in Asia Pacific has been at the forefront of global growth of the market. Moreover, the increasing awareness levels of the people and the preference for herbal medications are also expected to propel demand within the Asia Pacific market. BRF S.A., Associated British Foods Plc., Arcadian Organic & Natural Meat Co, and Kerry Group Plc are amongst the key players in the global market for food botanicals.